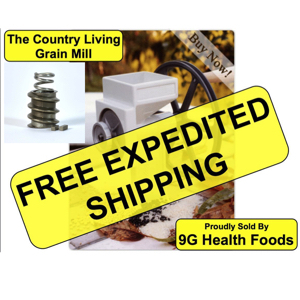 Limited Lifetime Warranty Burr grinder works with wet/oily grains; legumes, coffee, garbanzos, seeds, nuts, etc. 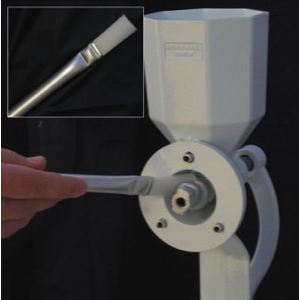 Powder-coated for easy cleanup Large octagon hopper fills easily and holds more than 1 quart World’s only patented dual clamp secures to surfaces up to 2″ thick, will not slip like other mills. Burr grinder works with wet/oily grains; legumes, coffee, garbanzos, seeds, nuts, etc. 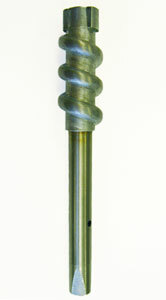 World’s only patented dual clamp secures to surfaces up to 2″ thick, will not slip like other mills. 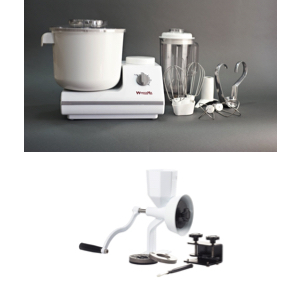 The WonderMix Deluxe Kitchen Mixer is a heavy-duty, 3-speed mixer with a large 5.5 quart mixing bowl, Blender and Cookie Whips. 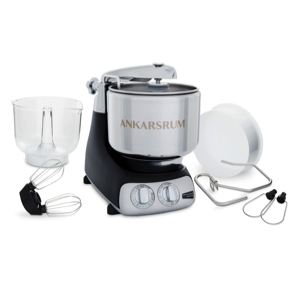 It includes a heavy duty dough hook for mixing up to 6 loaves of bread. It also includes a double set of French whips for whipping cakes, batters, creams, etc. This BPA free appliance is all powered by a large, 900 Watt motor and a high torque direct drive transmission. This is all backed by a 3 year warranty.